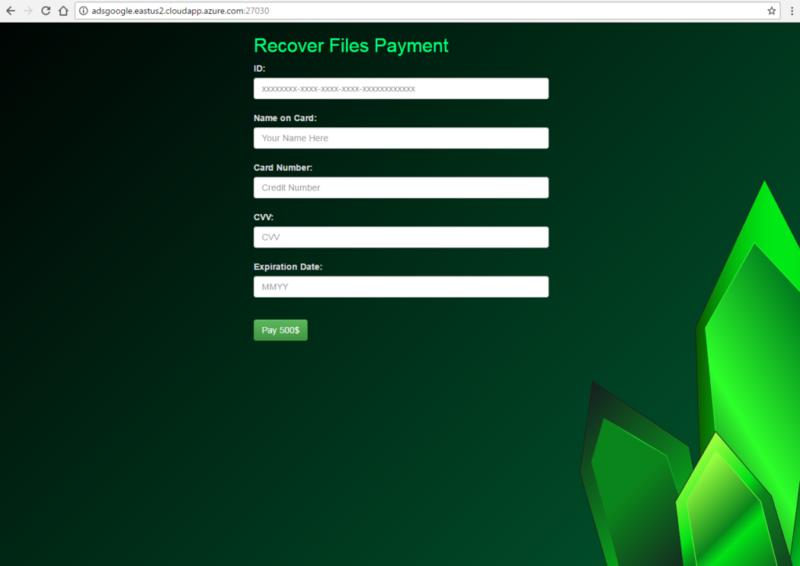 Kryptonite Ransomware Virus Removal. How to Recover Data? Kryptonite virus encrypts valuable data and blackmails victims into paying a $500 ransom to cyber criminals. Kryptonite belongs to the ransomware family which makes it one of the nastiest malware infections. 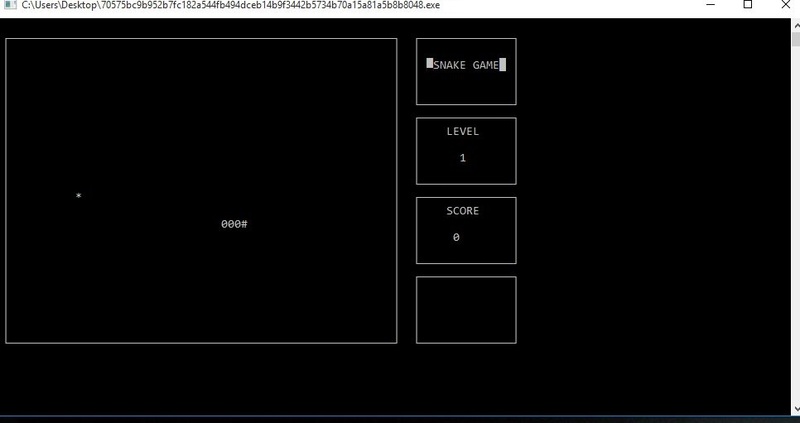 When Kryptonite’s malicious payload is started, a crafted game of Snake appears and distracts victim’s attention while the ransomware performs various malicious activities on the infected host. PC security experts report crashes of Kryptonite samples during the reverse engineering process, so it is supposed to be a threat in development. Victims of Kryptonite ransomware virus are advised not to rush to pay the ransom and remove the threat from infected hosts safely. The information in our Kryptonite virus removal guide provides all essential steps that will help victims to restore infected PCs and encrypted data. The malicious payload may be crafted in the source code of a corrupted webpage which URL address is spread across the Internet via personal messages, shares and posts on social media channels, online advertising campaigns, and spam emails. Kryptonite is also likely to be hidden in malicious email attachments. The email may mislead users to be sent by their bank, internet provider, colleague, or even governmental institution. Spam emails distributors of ransomware infections like Kryptonite are usually written in a way to provoke a feeling of urgency and trick you into opening the attachment. It may be a document with malicious macros embedded in it, PDF file with an embedded Word document or another file that contains the malicious Kryptonite virus code. Another attack vector for Kryptonite ransomware distribution may be freeware programs that use installation sets with bundled ransomware payload. Kryptonite virus is a data locker ransomware, and its primary goal is to modify the original code of sensitive files with the help of RSA encryption algorithm. Thus they become inaccessible by victims, and cyber criminals can extort a ransom payment from them. Remember that cyber criminals often act dishonestly in order to gain the demanded $500 without providing working decryption solution. The infection process begins once Kryptonite payload is running on the system. Тhe malicious executable files cad.exe, snake-game.exe, and snake_game.exe are associated with Kryptonite ransomware attack so far. They are developed in a way to terminate processes, read particular data, use their functionalities and create new malicious files. All these specifics set in Kryptonite malicious code allow it to perform various activities rendering the system extremely vulnerable at the end of the infection. Kryptonite virus is disguised as a game of Snake which starts when the malicious executable is opened. Even though the ransomware is believed to be in development the game is running good and can be played. What some users may miss while playing the fascinating game is the nasty Kryptonite infection that is also running and corrupts particular files in the background. All files touched by Kryptonite virus remain inaccessible by any software except the decryption tool as they are encrypted via strong cipher algorithm. Currently, a particular file extension associated with Kryptonite ransomware is missing so corrupted files may be recognized by their icon (usually white sheet in Windows). Their file type may be changed, and a double click on a corrupted file won’t result in file opening. Usually, Kryptonite and other similar data locker ransomware like PSCrypt, affect files that contain valuable information like images, photos, videos, music, documents, text files, archives, and all MS Office documents. All your files, images, vidoes and databases have been encrypted with an RSA-2048 private and unique key generated for this computer stored on a secret server. Original files have been over written, recovery tools will not help. Follow the instructions on ‘Ransome Note.txt’ file on your desktop. After payment is confirmed, use the Decryptor program to restore yor files. If you care about your files, DO NOT TRY TO GET RID OF THIS PROGRAM!! Your files has been encrypted using RSA2048 algorithm with unique public – key stored on your PC. There is only one way to restore your files : Contact with us, Pay 500$ and get your files back. This is a secured web-site for monetary transactions. In order to make the transactions you will need the below ID. After a successful transaction, disable your Anti-Virus and Firewall and run decryptMyFiles.exe as administrator. The URL address lands on a particular page with several fields where the ID, name on card, card number, CVV, and expiration date should be entered to pay the $500 ransom. Attention! All of you who are Kryptonite victims are strongly advised to avoid entering any information; otherwise, you risk to grant access to all credit card details to the criminals and lost all your money. Don’t forget that the web page is likely to be completely controlled by them so they can extort all details. Your encrypted files are not completely lost. Security specialists have cracked the malicious code of many ransomware threats, and eventually, they will succeed with Kryptonite too. Meanwhile, the guide below provides alternative data recovery solutions that may restore some important files efficiently. WARNING! Manual removal of Kryptonite Ransomware virus requires being familiar with system files and registries. Removing important data accidentally can lead to permanent system damage. If you don’t feel comfortable with manual instructions, download a powerful anti-malware tool that will scan your system for malware and clean it safely for you. WARNING! All files and objects associated with Kryptonite Ransomware virus should be removed from the infected PC before any data recovery attempts. Otherwise the virus may encrypt restored files. Furthermore, a backup of all encrypted files stored on external media is highly recommendable.